Salary Delays Caused By FAAC Meeting Deadlock-Kwara Governor’s Aide – Royal Times of Nigeria. The delay in payment of June 2018 civil servants in Kwara State has been attributed to the deadlock of monthly Federation Account Allocation Committee (FAAC) meeting held on Thursday at the Federal Capital Territory, Abuja. The Special Adviser to Kwara State Governor on Communication Strategy, Prince Moronfoye stated this on Monday while featuring on a live radio programme in Ilorin. Moronfoye therefore exonerated the state government, adding that the delay was caused alleged under-remittance by NNPC. According to him: “Let me first apologize to all the civil servants in Kwara State for the delay in payment of June salary. 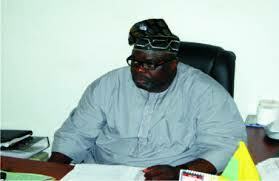 It’s due to the stalemate of June FAAC meeting held on Thursday in Abuja. I learnt that the state commissioners of finance could not agree on remittance by NNPC. “NNPC is being alleged of under-remittance to FAAC and this would affect the amount accruable to each state. As at this morning, Kwara state like other states is yet to receive monthly allocation because they are yet to share available funds in Abuja. “The Vice President, Prof Yemi Osinbajo will meet Minister of Finance, Kemi Adeosun and NNPC management team to resolve the issue. I pray they resolve the issue today and hold another FAAC meeting. He appealed to civil servants and pensioners to bear with the state government, adding that their salaries will be paid soon. Moronfoye expressed optimism that Governor Ahmed will definitely look for alternative if the issue dragged beyond this week.